As a child, Messinger was always inventing fantastical beings. “When I was a kid, creatures and beings would come to me in my dreams,” Messinger says. 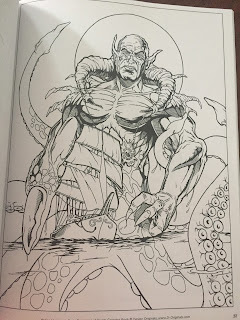 “When I woke up, I would draw what I remembered.” He began a career working with Marvel Comics and Image Comics and was later inspired by artists such as Frank Frazetta, Simon Bisley, Jim Lee, and Je Easley. 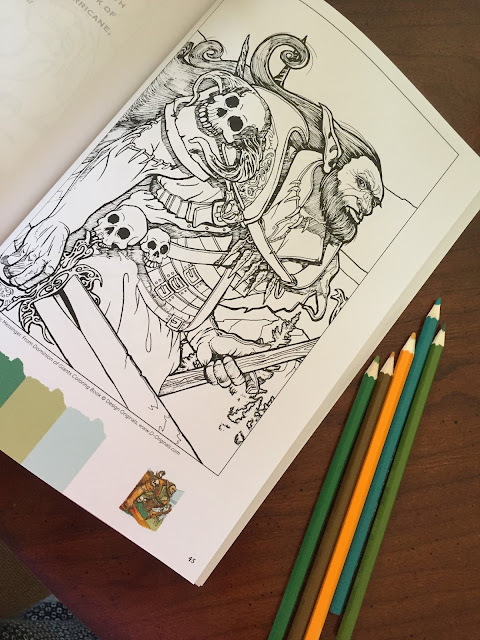 He was also heavily influenced by Dungeons and Dragons culture, which taught him the importance of creating a backstory for his characters. 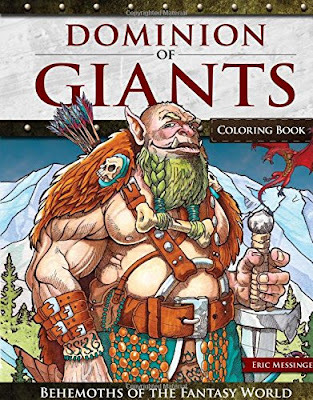 Dominion of Giants is the culmination of a young child’s wildest fantasies mixed with years of practice, dedication, and a passion for fantasy illustration and storytelling—the perfect coloring book for any fantasy fan or artist looking to perfect their own illustrative skills. 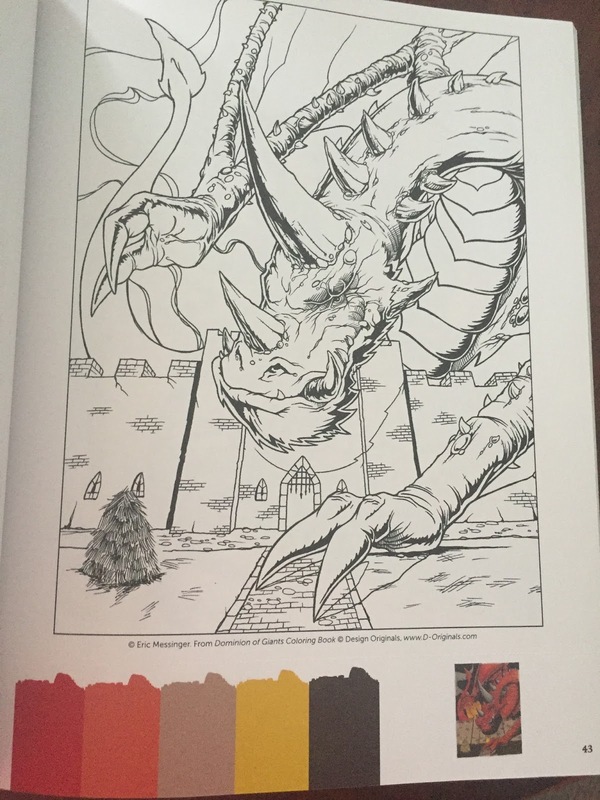 This is a great coloring book. Most of the books I see are very feminine but this one is masculine to the behemoth hill! I love it! 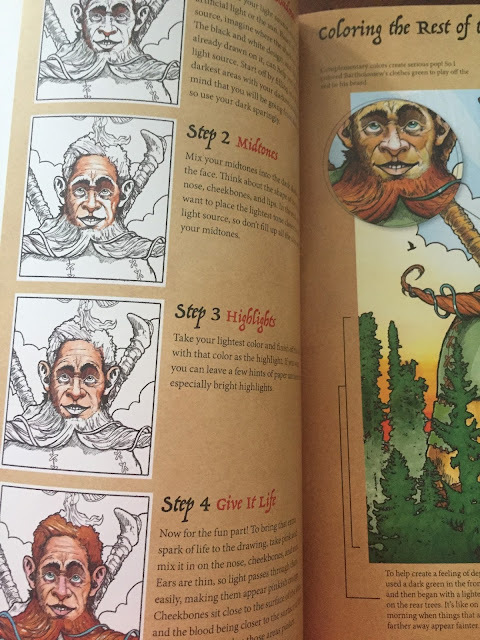 The book has over 32 Giants to be colored with some of the pages providing a color guide and a thumbnail photo of what the picture could look like colored. 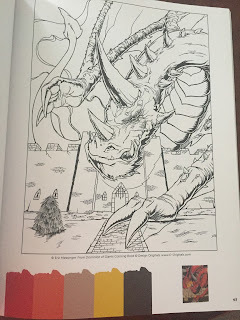 I would use this as a guide because really for me coloring is all about not thinking. 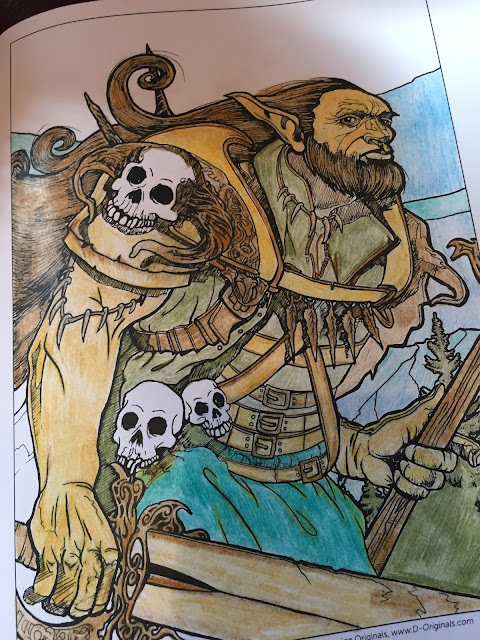 I wouldn't want to have to keep track of what color I should be using. 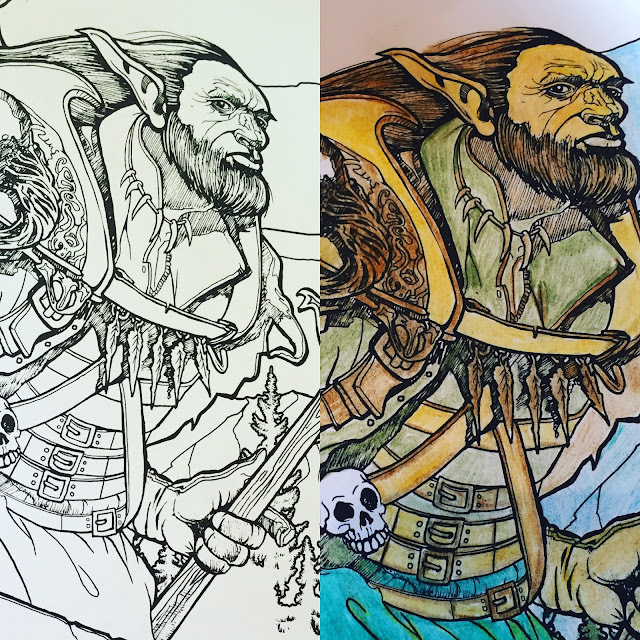 There is some information about getting proper shading which was really helpful. This was really a fun way to spend the afternoon.